Before we get to that, we wanted to say a few quick words. Our entire team is *so* excited about GraphConnect NYC coming up soon! It’s only a week away before we get to see the entire community come together for GraphHack, training classes, workshops, and a bunch of amazing announcements and in-depth technical sessions. Many developers are speaking about how to build graph apps, and we have in-depth sessions on algorithms, Causal Clustering, AI and much much more. We even have an awesome DevZone at the event with experts from our team on hand to look at your graph models, a lounge to chat with fellow developers, and a special Virtual Reality graph experience. Register now, with the special TWIN4J 20%-off discount code. We’d LOVE to meet you, hear about what you’re building and help in any way we can. 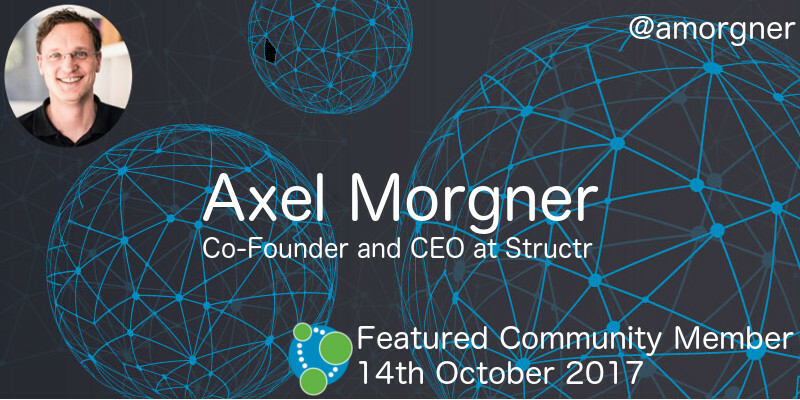 This week’s featured community member is Axel Morgner, Co-Founder and CEO of Neo4j partner Structr. Structr is a graph-based low-code development and runtime environment for building data-centric web and mobile Applications and uses Neo4j as its backend datastore. I did a bit of searching on the Structr GitHub repository and found out that Axel has been working with Neo4j since at least version 1.6 back in early 2012. Axel presented at GraphConnect SF 2013, GraphConnect London 2013, GraphConnect EU 2015, GraphConnect EU 2016, featured on the podcast a couple of years ago, and has written several articles for the Neo4j blog. Structr are sponsors of GraphConnect New York 2017 so you’ll be able to meet Axel and the team on October 24th at Pier 36, NYC. On behalf of the Neo4j community thanks for all your work Axel! For over half a year the SDN/OGM team has been working on new features in Neo4j Object Graph Mapping library (OGM) and Spring Data Neo4j (SDN) framework. You’ll find a number of improvements: better loading strategies, custom id handling, dynamic properties to better support for causal clusters and Spring Data projections. We are happy to announce the release of OGM 3.0 and SDN 5.0 earlier this month with a detailed blog post. We’re also welcoming Gerrit Meier to the Spring Data Neo4j team within Neo4j engineering. 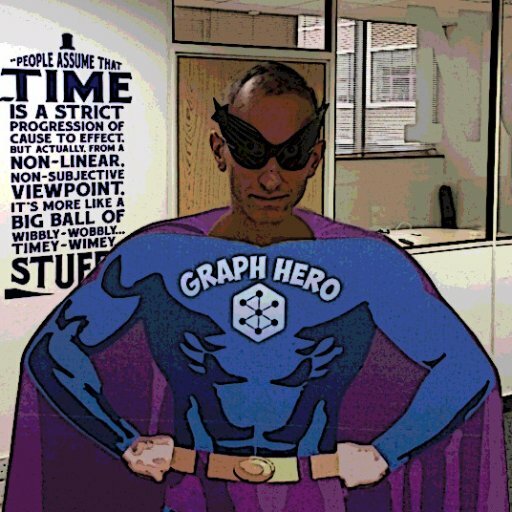 If you are attending GraphConnect, NYC Oct 23-24 you can take the “Building Microservices with Spring” training by Kenny Bastani which will have a section on Spring Data Neo4j 5.0. And make sure to attend the “Spring Data Neo4j 5.0” talk by Nicolas and Gerrit. Also find Nicolas, Gerrit and Michael at GraphConnect for questions and discussions. We didn’t have an online meetup this week so we’ll flash back to one of the most popular talks from GraphConnect Europe 2017 – Real-Time Recommender Systems Made Easy with Neo4j – presented by my colleague Pieter Cailliau. Pieter talks through his experiences helping Neo4j customers build recommendation engines and shows a library he built to simplify the process. The online meetup is back this week. Norbert Priening will show us how to analyse Debian packages with Neo4j at the earlier time of 14.00 BST. You can always watch the video afterwards if that’s too early for you! Sander created eth_graph, a project which syncs the Ethereum blockchain to Neo4j. It’s still in its infancy but looks like a cool one to keep an eye on. Thomas Vander Wal wrote up his initial experiences learning about graph databases after coming across them in a networks module at university. In how Neo4j could help fighting crime Stefan Schubert compares and contrasts relational and graph models, before going on to show how you might model a crime network in Neo4j. Netgrph is a project created by Jonathan Yantis that models IP networks in Neo4j for network automation and troubleshooting. Once you’ve loaded your data you can run queries to find paths between devices or find all the devices of a particular type across a network. 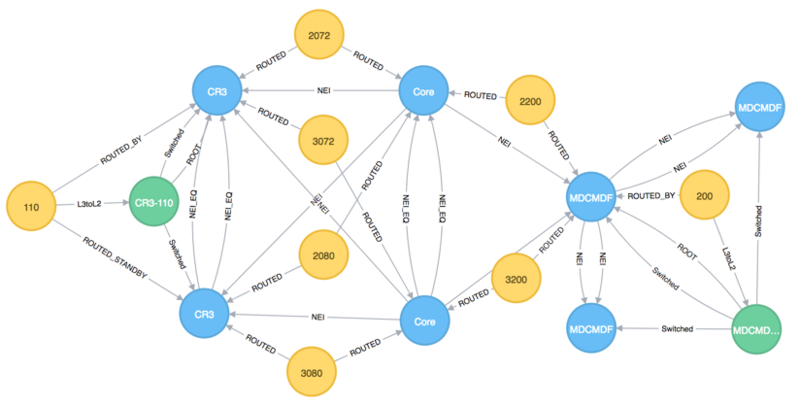 Matheus Teixeira created rdf2multimodel, a tool that imports RDF triples into Neo4j. The project also has a SPARQL to Cypher adapter. BloodHound version 1.4 was released. BloodHound is a tool that uses graph theory to reveal the hidden and often unintended relationships within an Active Directory environment. This release contains ShortestPath bug fixes and added a feature that allows you to collect properties of objects. Antimony writes a query to find a common ancestor between words in a Wordnet graph. Tezra shows several ways to write a nested union query against a BioPAX graph. COLLECT, UNION, and path filtering all feature. Chris Leishman explains how logging works in Neo4j and options for configuring it. Most rewarding thing: import 55k #SQL rows of classical works and composers into @neo4j, explore, build a @GraphQL API on top–in 2 nights ?